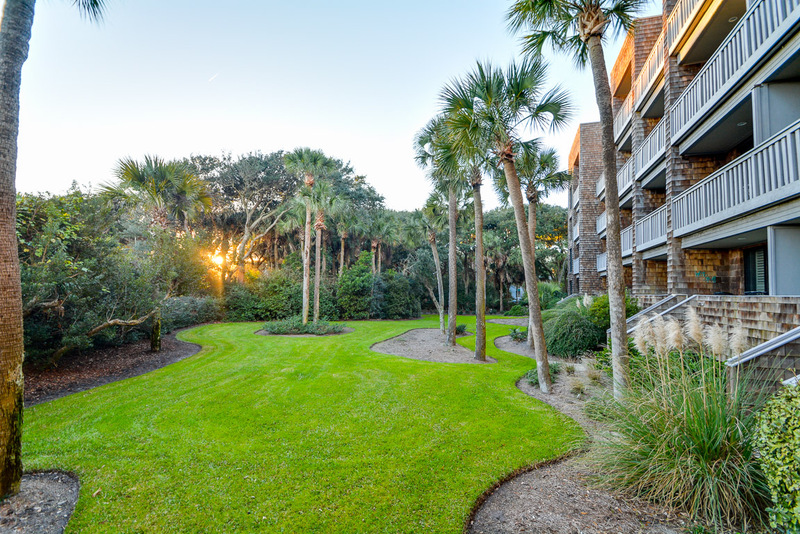 This classic beach condo, 2466 Shipwatch Villa, is situated in West Beach Village near the entrance to the island. 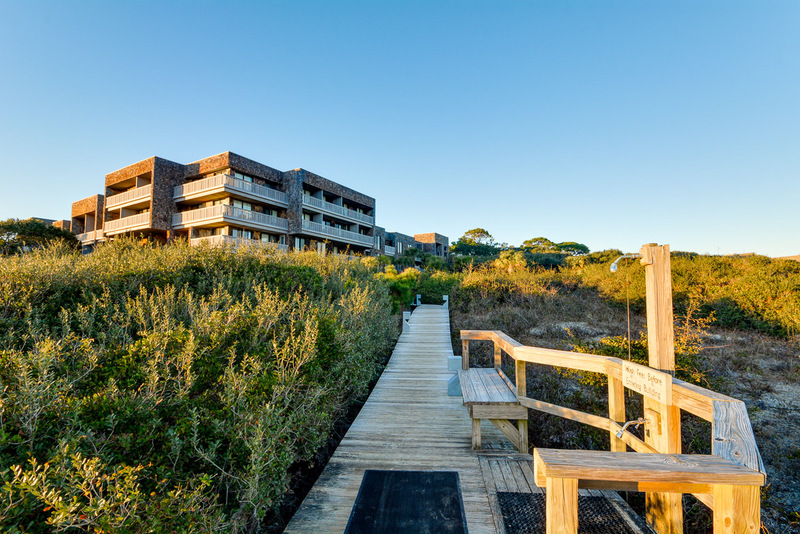 Located on the fourth floor of its building (with elevator access), this top floor Kiawah Island oceanfront vacation rental offers one bedroom, fabulous beach and ocean views, and easy beach access. The living area features a sleeper sofa, two side chairs, dining table for four, flat-screen TV, and deck access. The fully equipped kitchen contrasts light cabinets and appliances with dark counters. The bedroom, offering a king bed, flat-screen TV, and deck access, utilizes the updated hall bathroom with shower. The villa is equipped with wireless internet. Community washers and dryers and an elevator are provided within the building. Property was as described. Location was terrific. Very quiet and comfortable. Well equipped condo. There was a minor issue with the heating, but it was taken care of within 90 minutes of reporting; the management company was very responsive. I highly recommend Akers-Ellis and will use them again. This is a small apartment, perfect for 2. The area is quiet and well kept and the unit is very livable. We will return! Shipwatch is a great location with VERY easy access to the beach. Akers Ellis is a ways a pleasure to work with. We got there and had a broken chair on our balcony and no dish towels for the kitchen. I called Akers Ellis and even on a weekend night we had the chair replaced and towels delivered by noon the next day. I can't say enough good things about their staff and also the unit. We have been to Kiawah 4 times now and used Akers Ellis the last 3 times we will DEFINITELY use them again if we go again!! Very professional. Great location with excellent view of the beach & ocean. We really enjoyed our stay at 2466 Shipwatch, very clean and comfortable. 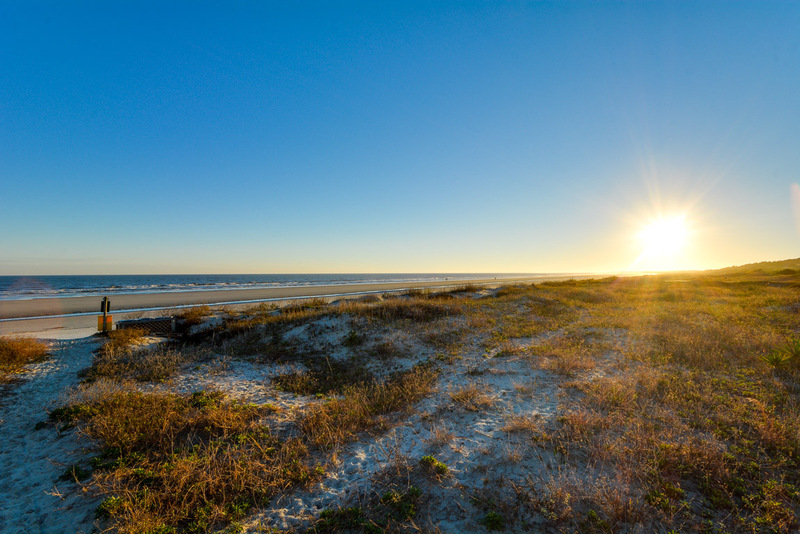 We love Kiawah! Good service! Great location! Will be back! Great View and very clean. Living room sofa needs replaced and chairs recovered. Hi Richard, Thank you for your feedback. We would be happy to pass along your message to the owners of the property. We are thrilled that you had a great vacation! A clean, comfortable apartment; furnishings satisfactory; kitchen nicely equipped. Beautiful view of the beach: picture on website is exactly from the balcony. very good, the place was perfect-right on the ocean views. Afternoon ocean breeze which was a bonus. We have stayed in this condo has beautiful views of the beach. Perfect for one couple. It is clean an well maintained. The location is great for the beach and biking. I would recommend this property. Loved the property location and the amazing view out over the beach and ocean. The property was perfect size for my wife and me. Overall it was clean and had most of the kitchen appliances we needed. The place was clean. The bed was a little soft and the interior could use some new drapes. We flew in so did not have items that woyld have help our stay. Beach chairs, beach towels, and a little beach cooler would gave been very helpful. We had to buy these items and leave them behind. The property Managment company was very helpful and respinsive throughout the entire booking and stay. We will return again to this particular property in the future. Hi Christopher, Thank you for providing us with feedback about your stay, as we are always looking for ways to better our properties. We are pleased you enjoyed the villa! The construction above my condo was very noisy and Ackers Ellis had me in another unit by 3 pm on Monday, Thank you! Great home, great view. Rental had everything we needed and was the perfect getaway spot. Very relaxing week in a quiet, lovely condo. We had another wonderful stay at Shipwatch Villas. Akers Ellis is always wonderful to work with!! We have been to Kiawah multiple times. Unit was in a nice location. Carpet in the unit needs to be replaced as well as sofa in the living room. Sofa is old and carpet looks dirty. would not stay in this property again without those updates. We are happy to report that the carpets in the villa were replaced and the sofa was reupholsted in January of 2017! Condo was just as pictured. Great location. Would stay here again...would absolutely recommend this condo! We had a four night get-away from nearby. The apartments clean, efficient, and gloriously sun-filled. We loved this unit. The view from both the bedroom and the living room are spectacular! The location near the entrance was perfect for our trips to Charleston!